If you hate your love handles, try these exercises for your obliques. 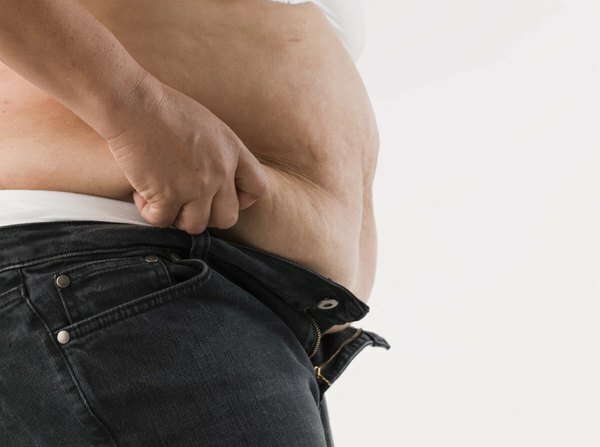 If you have no love for your "love handles" and want to banish them forever, you'll want to make sure not only to watch your diet but also to tone your internal and external oblique muscles. The external obliques are the largest of the pair, but don't fret too much over the two types, because when you work your external obliques, you'll give the internal ones plenty to do, as well. Three exercises show some tough love to this trouble zone, according to "The Complete Idiot's Guide to Weight Training: Third Edition." This is a simple variation of the crunch we all know and love, right? Start by lying on the floor on your back, knees bent as you would for a regular crunch, but bend the right leg and rest the ankle against the left knee. Keeping your right arm stretched to your side on the floor and your left hand behind your neck, lift your upper body as you would in the normal crunch. Then rotate your elbow toward the right knee so you twist slightly. Hold for a second, then slowly return to the floor. As with all abdominal exercises, start with 25 repetitions, then switch to the other side. Another oblique exercise that requires no equipment is the side oblique crunch. Start on the floor as with the basic crunch, then rotate your hips to one side with your knees bent, yet keeping your shoulders and head turned toward the ceiling. Then with your hands behind your head, lift the upper body toward the ceiling, hold for a second, and return to starting position. If you're lucky enough to have gym access, look for the rotary torso machine. You sit down, place your arms behind a bar behind your back, and twist the seat in a slow, controlled motion. If Mr. Checker had one of these, he probably wouldn't have been so chubby. In addition to the exercises above, watching your calories and doing regular cardio workouts reduces overall fat and whittles your waistline. 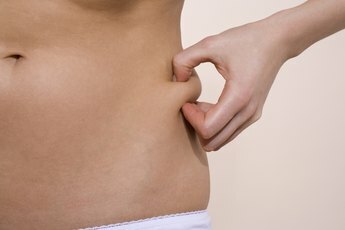 And if you lose those love handles, that's one love you probably won't miss. 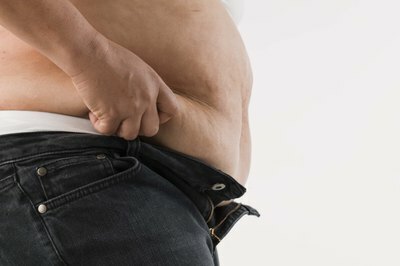 Can You Lose Weight by Doing Crunches With Abdominal Machines?